This is a fantastic opportunity for community members to view the crafts of the talented exhibitors and purchase that special gift. 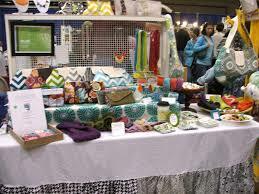 The Craft Fair enables Quota to make donations to support local charities and organizations. A number of exhibitors demonstrate their crafts during the Craft Fair. Many and varied crafts will be available for us to enjoy. Wooden Craft, Applique, Tatting, Jewellery, Embroidery, Ladies Blouses, Girls Dresses, Christmas Craft, Glass Art, Felting, Fairy Gardens, Wood Turning, Egg Artistry, Crochet Ponchos, Children’s Cuddles, Quilting Fabrics and Threads, Leather Handbags, Dolls, Patchwork Fabrics, Clay Decorated Utensils, Baby Knits, Card Making, Machine Embroidery, Knitted Rugs, Bears, and much much more. Enjoy the Quota Craft Fair from July 8 – 9 at Tweed Heads Civic Centre. Our Tweed Coast Accommodation is close to Tweed Heads Civic Centre. Aside from our fully self contained apartments, we also have guest facilities. Feel free to use the guest facilities which include three outdoor swimming pools, a fitness room, restaurant and bar, business centre, barbecue facilities, conference/meeting room, direct beach access, dry cleaning services, secure parking, spa, tour desk, and more. Enjoy an invigorating swim at our outdoor swimming pools. Stay fit and fabulous by working out in our fitness room. Use or barbecue facilities to create barbecue feasts for your loved ones. Sink in the spa and relax after a long and exciting day.